It appears Amazon couldn’t settle on a single site for its second corporate headquarters and has decided to divide the duties between a second and third headquarters. The online retailing giant is expected to announce as soon as Tuesday it’s chosen New York City and northern Virginia’s Crystal City for its planned second headquarters — dubbed HQ2, The Wall Street Journal reported Monday night, citing people familiar with the matter. Other cities may get other responsibilities, the newspaper added. Amazon’s HQ2 gained attention as one of the biggest corporate projects in the US, with the e-retailer planning to hire 50,000 workers and spend $5 billion. The company fueled excitement about its plans by inviting cities to pitch themselves as sites for the development. It was reported earlier this month that Amazon was examining the option of creating two separate 25,000-person campuses, in part due to the need to hire enough tech talent and partly to ease housing and traffic concerns. Two HQ2 projects would also ensure that Seattle remains Amazon’s definitive headquarters. The company’s push to build a second home base highlights how massively Amazon has expanded during its 20-plus year history. It started as an online bookseller and now, in addition to being an internet purveyor of hundreds of millions of products, it’s a cloud-computing juggernaut, an electronics maker, logistics and delivery operator and a Hollywood studio. 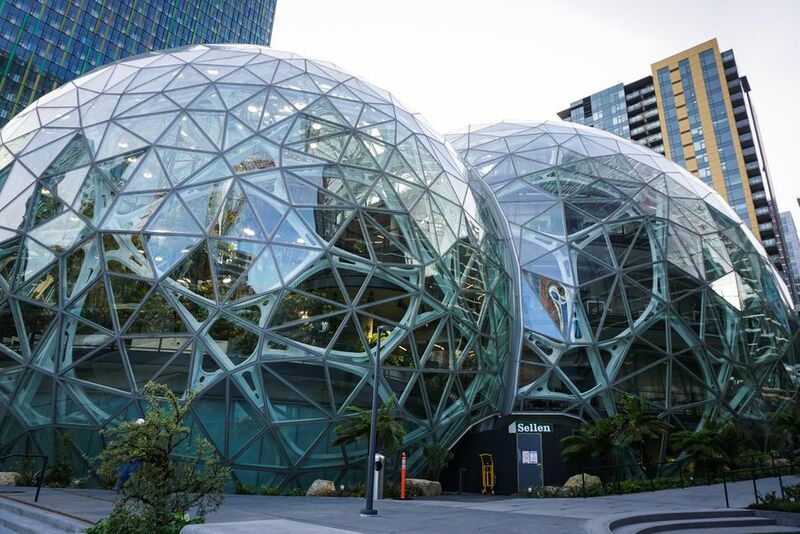 After growing in Seattle over the past two decades, the world’s largest online retailer announced plans a year ago this month to create a second headquarters, dubbed HQ2, in North America. In January, the company announced the final 20 candidates for the location after whittling down the list from proposals submitted by 238 communities in the US, Canada and Mexico. The Journal reported earlier this month that Amazon was in “late-stage discussions” with Crystal City in Virginia and with Dallas and New York City. CNET’s Ben Fox Rubin contributed to this report.